Atsuko Quirk, CafCu Digital Media Producer and Cafeteria Ranger Program Director, is a documentary filmmaker, environmental advocate, and a 21st generation Samurai family member from northern Japan. She is happy to live in New York City. After 15 years of production managing TV commercials, feature films and TV shows, Atsuko started making documentaries of her own. She is bringing in her Japanese POV into American culture on sustainability and wellness issues. Her latest film, "It's Everybody's Ocean" has won the best documentary short at NYC International Film Festival in 2014 and two awards at other festivals. It has been shown in 10 cities all over the world. 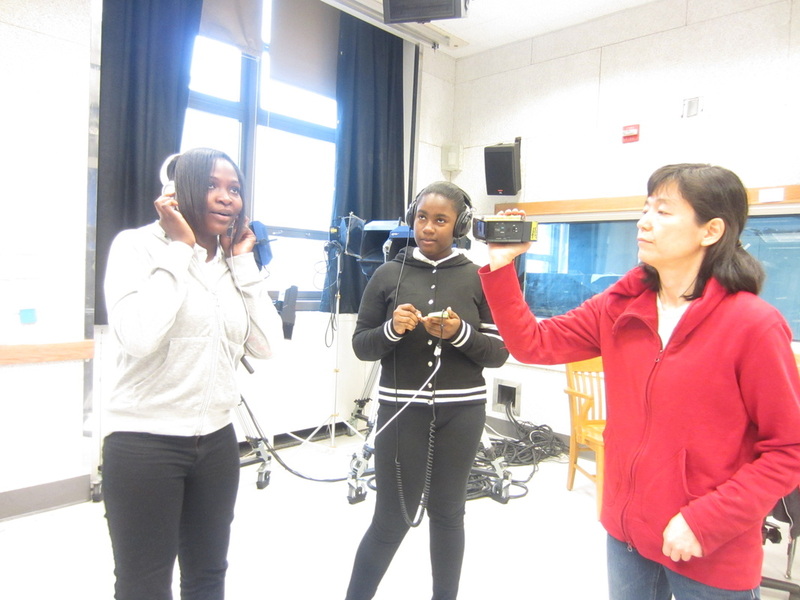 Atsuko teaches videography and production to youth via CafCu’s new ARTS+MEDIA for Climate Action curriculum. 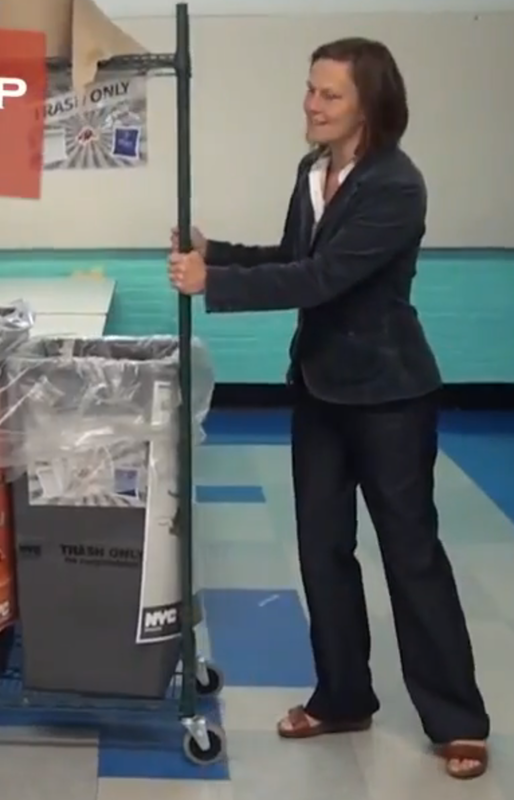 She filmed and edited a video streamed in the US EPA’s webinar, "How to Reduce Cafeteria Waste - Best Practices in NYC Public Schools" and designed the webinar Power Point presentation. She directs and edits all of CafCu’s videos including in the "CafCu News" series for the organization's website and newsletter! Atsuko has been perfecting the Cafeteria Ranger program and training since 2010, bringing in Japanese style student run operation to NYC school cafeterias. Before joining the CafCu team, Atsuko designed and conducted a waste reduction program for public school cafeterias, engaging students while teaching and training them about sorting and waste reduction. Her recently created short documentary, SCHOOL LUNCH IN JAPAN, has over 9 million views on YouTube and been widely inspirational, showing the importance of "quality of the mealtime" to many in the public school community, including Government Agency Directors, teachers, and students. Debby Lee Cohen, CafCu Executive Director and Founder, is a multi-disciplinary artist and Zero Waste activist. She has designed scenery, giant puppets, and animation for theater, television and film. In 2009, she decided to apply her design, production, and collaboration skills to achieve zero waste public school cafeterias and to eliminate the 860,000 toxic and polluting styrene foam lunch trays used per day in NYC schools, a goal imminently to be achieved! Cohen catalyzed TRAYLESS TUESDAYS throughout all 1700 NYC public schools in 2010 by creating an innovative partnership with NYC School Food and Parsons The New School. To date, over 100 MILLION foam trays have been eliminated from schools meals, incinerators, and landfills at no additional cost to the city. Under Cohen's leadership, Cafeteria Culture built strategic coalitions, resulting in NYC’s 2013 decision to completely eliminate styrofoam from schools. The City’s agreement to co-purchase compostable plates with the 5 other largest U.S. school districts will drive down cost and eliminate 1/2 a BILLION styrene foam trays used per day in schools across the US. In December 2013, the NYC Council voted unanimously to ban styrofoam. Cohen took the lead in frontline grassroots lobbying, collaborating with 15 other nonprofits and enlisting the support of public school students and giant puppets! Cohen's HBO credits include Environmental Consultant and Art Direction on the environmental special, Saving My Tomorrow; Set Designer for the Emmy Award special, Classical Baby; Segment Producer on Twas the Night; and Story Advisor for A Family is a Family is a Family. Her animation has been shown on PBS, Showtime/The Movie Channel, and MTV. In Paris, she was commissioned to design a children’s food themed parade with giant puppets in Jardin des Tuileries, collaborating with 500 mostly immigrant children. For 8 eight years, she designed the giant puppets for NY's Halloween Parade, focusing on environmental themes and has designed sculptural costumes for Ben & Jerry’s Ice Cream and packaging for salad dressings and sauces. Cohen Art Directed Meredith Monk’s, Ascension Variations, a site specific performance for 120 performers at The Guggenheim Museum. She has designed scenery for Monk and other multi-media directors for over 25 years (BAM, Houston Grand Opera). At Lincoln Center, she designed scenery and puppets for Urban Bush Women and The Dance Theater of Mozambique. In April 2010, she received the Eco-Hero award from the United Federation of Teachers (UFT) Green Schools Committee for her efforts in reducing plastic foam tray use in NYC schools (Trayless Tuesdays has reduced plastic foam tray use in NYC by 100 million trays to date). She is a member of the Manhattan Citizen's Solid Waste Advisory Board (SWAB) and Chair of the Messaging Committee. Personal Grant Awards include: The New York Foundation for the Arts, The National Endowment for the Arts, and The Jim Henson Foundation. She has taught 3D Design and LAB at Parsons; visual art to teens at risk, inmates, seniors, and in NYC school residencies; and the ARTS+ACTION curriculum to thousands of K- 8 NYC public school students. Rhonda Keyser, Outreach Director, has been a leader in school cafeteria waste reduction for many years at PS 29 in Brooklyn, where she has led the school’s Green Committee as well as the PTA. 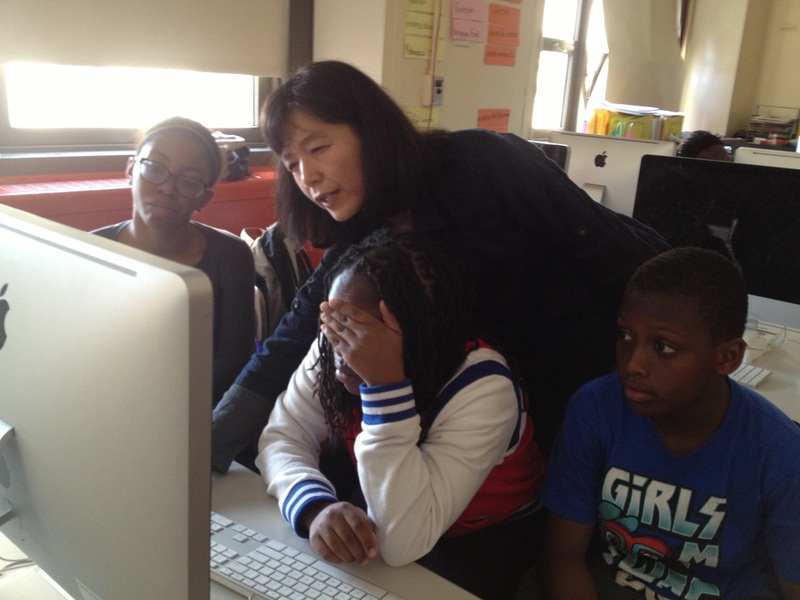 Under her leadership, PS 29 won the competitive 2014 NYC Golden Apple Award! In addition she helped facilitate the Green Team Leaders work to win National Wildlife Federation’s Eco-Schools Green Flag award. Just by facilitating proper waste-sorting in the cafeteria in a little over than 3 years, Rhonda has helped PS 29 divert over 65,000 pounds of food waste and 7200 pounds of metal, glass, and plastic recycling from the landfill. She has helped the faculty, staff and kids reduce their 7 bags of garbage per day at lunch to 2 bins of food waste, 2 bags of recycling and 2 small bags of trash. With 820 kids improving recycling sorting in their homes -- just over 500 families -- the landfill reduction is dizzyingly significant with just one school. Rhonda relishes the opportunity to work with Cafeteria Culture to help them expand their thorough and engaging education tools to all of NYC’s Public Schools and beyond. Rhonda has acted in the winning short film entry for Project Greenlight, winning director, Jason Mann. She played Alice in Grant Varjas’ Undetectable at the Planet Connections Theatre festival at the Paradise Theater, and understudied for Leo, the Russian translator in Kristen Kosmas’ There There, a PS122 production at the Chocolate Factory directed by Paul Willis. At the Paradise Theater, Rhonda has also been seen as Burry in Tom Noonan’s What the Hell’s Your Problem? ; as Cherry in the stage piece Cherry and as Reagan in Losing Ground, both written and directed by Bryan Wizemann; and as the pregnant Rhonda (while actually pregnant) in Lisa Ebersole’s People Die That Way. ​Lena Greenberg is a devoted systems thinker and advocate of youth participation in urbanism. She puts these passions to work through developing and teaching curriculum at CafCu's partner schools. Lena is a Brooklynite and graduate of The New School, and can usually be found traversing the city by bike or processing food scraps at her community garden. Naimah Hakim is a recent graduate of Princeton University where she studied anthropology, gender, and critical race studies. Following years volunteering at a soup kitchen and working at a student-run sustainability food co-op, Naimah is excited to join the Cafeteria Culture Team to promote community organizing around food justice, diversity, and increasing access to arts-based education. Go to our Internships page to find out how to join the team. Allison Seaman is a freshman at Baruch College and an graduate of LaGuardia High School. She is majoring in Art. She previously interned with Arts Connection when she was in high school and took classes at the Arts Students League. Deborah Buzuayehu ​is a senior at Parsons School of Design. She is currently studying the integrated design, communication design, and creative coding curriculums. Deborah was introduced to Cafeteria Culture from her professor at Parsons and used the company for an in-class project. She later met with Debby Lee Cohen, founder of the organization, to work on a larger project. Deborah is know taking on the role of developing a clear, and friendly logo identity for Cafeteria Culture. Josh Snow studied Urban Design at Parsons The New School. As a New York City resident, he is devoted to the green cause on many fronts, from compost advocacy to urban farming and self-sustaining cities. Designing a better future through hands-on projects, Josh finds that creativity is the number one solution to today's most challenging obstacles. He is currently in China! Bachelors of Fine Arts in Communication and Media Production . Georgeanne Dinan interned with Cafcu during her senior year at Hunter College High School in New York City. She is interested in a variety of environmental issues, including environmental justice, climate change, and sustainable waste management. In achieving these goals, Georgeanne believes that community organizing is essential. She plans to pursue her passion for policy and environmental issues in college. ​ "I am traveling around the world to get ideas for my dream, which is to build places like eco schools, retreat centers and community villages for people of all generations. Each country, every day I am learning. My journey for achieving my dream continues."